Andrew struggled furiously with the rope. Sweat from his hands coated the braided hemp, turning it slick in his grasp. He squeezed it desperately to improve his grip until his knuckles turned white and the strain of the effort to shut the door showed on his face. Krumer rushed to the emergency valve and checked the gauge. The needle hovered near eighty pounds per square inch. Next to the gauge was an iron turn wheel, six inches across and dotted with rust and flakes of red paint. The orc grasped the heavy iron wheel with both hands. “Down!” Krumer yelled just before he yanked the wheel to the left. Andrew ducked immediately, which let the rope go slack. The door flew open and for just an instant a shadowy figure filled the doorway. A second later, the white-hot cloud of steam slammed into the figure, knocking it back into the darkness amid eerie silence, save for the high pressure hiss of steam from the valve. Immediately, Andrew yanked back on the rope which slammed the door shut. The ruined lock banged against the door frame and blocked it from closing securely. Regardless, Andrew managed to tie the rope around a large six inch diameter steel pipe. Krumer nodded. “Understood.” The orc turned the wheel and shut off the steam deluge. He then turned around to look behind him. Carlos had already hastily gathered what few supplies had been in the room, as well as Dr. Von Patterson, and had just slowly moved out from their small hidden room. 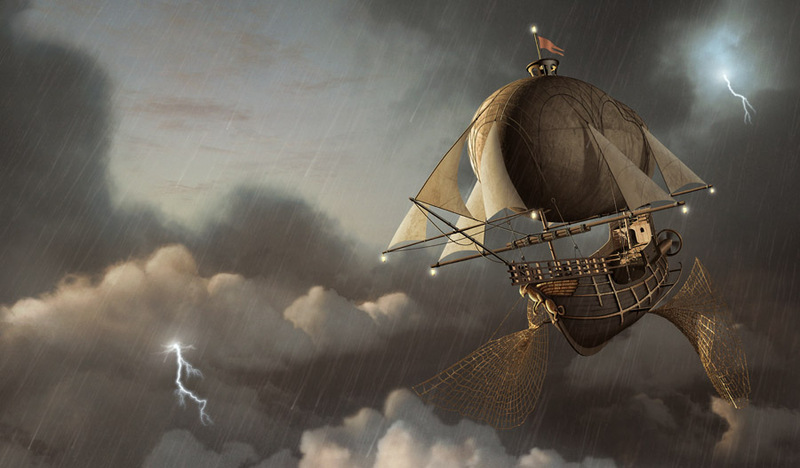 “Adonia, I trust you’ve someplace else we can go?” Krumer asked. 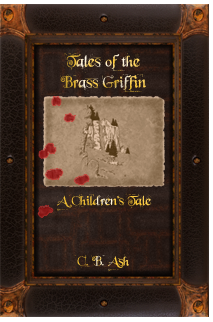 Before she could answer, the door behind them moved and the rope jerked taut. The pipe, designed to withstand intense pressure, was no match for the sudden pull to one side. Without a moment’s hesitation, Andrew threw himself against Krumer. 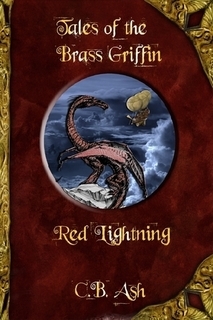 The Brass Griffin‘s first mate went sprawling onto the metal flooring just as the pipe snapped in two. 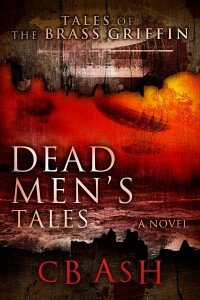 The broken piece of metal and steam-soaked rope lashed out, striking Andrew in the chest. Andrew, who was where Krumer had stood a second ago, flew up and back onto the ground. The young man rolled over in a half-daze, then slowly pushed himself up unsteadily onto one knee. Behind him the door slammed open as if it had been punched with an invisible fist. “Andrew!” Adonia’s scream of warning cut the air just as a figure leaped onto the young man from behind. A pair of bloody, strong hands grabbed his shoulders. He looked up from where he crouched just before he was yanked into the darkness. A scream of terror echoed for a moment, then abruptly silenced. Adonia raised her pistol in reflex, but only too late. When she realized she could not see a target, she raced headlong toward the door, only to be caught by Krumer who quickly blocked her path. O’Fallon raced forward and took over the rope giving Krumer the chance to slowly guide Adonia away from the door. All the while, Adonia struggled in a panic-driven fury to get free and rush the door, despite any sense of caution. “About the rope? Och, be as certain as Ah can be. Na promises mind ye.” O’Fallon replied with a faint smirk. “How long?” Krumer asked while Adonia, having given up on getting past the orc, turned away from him in a shaking rage. Adonia squeezed her eyes shut a moment, then rubbed them with her free hand. The other clutched a pistol tightly until her scaled knuckles were a light green. Finally, she took a deep ragged breath, opened her eyes and looked around, her tendrils of hair writhed slowly while she considered their options. “Down the hall would be the main fans and steam pistons. If we cross the catwalks to the other side, there is a another room to conceal ourselves in until … they … lose our scent.” She said in a hoarse voice. Behind them the door jerked again, but this time the rope held. The door rattled angrily in the frame. O’Fallon looked back, his eyes drawn to his handiwork with the knot. The rope was a stout hemp and hardly weathered. It would hold for awhile. Of that he was certain. However the strength it took to bend the lock in the door a moment ago cast doubts as to how long the valve wheel, or the pipe the rope was tied to, would really hold out. “Si, Senõra.” Carlos and Thorias then stepped through the door. The rest of the group followed close behind. Krumer paused, the last to go through, and looked behind them. In the crypt-like darkness of the hallway, the metal door shook violently. The rope snapped taut then strained against the iron turn-wheel of the pressure valve. Krumer watched with a mix of fascination and horror as the rope stretched thinner, which in turn pulled at the iron wheel. The iron stood firm, but the pipe did not. In seconds, the pipe distorted until both it and the thick rope snapped in two. Steam ushered forth, filling the hallway like a thick, white cloud. Then a figure emerged. It was a broad-shouldered man in a tight grease-stained shirt. His trousers were torn and his dead face bruised and swollen, as if he had been severely beaten. Krumer recognized the face. It was the face of the dead man that had fallen on O’Fallon earlier. Only then, he had been dead and immobile. Thorias had confirmed it. Now, he still looked dead, but was far more active than any dead man had a right to be. The orc whispered a shaky prayer to his ancestors and the nature spirits of his people. This entry was posted on Sunday, September 6th, 2009 at 11:30 pm	and is filed under Dead Air. You can follow any responses to this entry through the RSS 2.0 feed. You can leave a response, or trackback from your own site.